​For information on how to book and the bookings diary, please click here. For details of Shutford Festival 2019, please click here. Click here to view the winners of this year's Easter Egg competition. 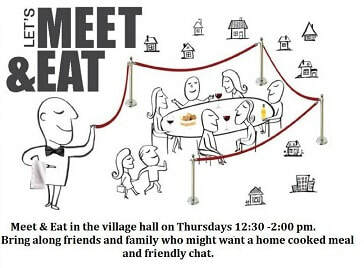 Home cooked lunches every Thursday in the village hall 12:30 - 2:00 pm. All welcome! Doors open at 7:00 pm. Membership £12.00 for adults (calendar year). Kids Film Afternoon 28 April, doors open 2:30pm. Film to be confirmed. Click here for news on grants awarded for Phase 2 of the Shutford Village Hall. To read the latest issue please click here. Contact email: shutfordvillagenews@gmail.com. The date for the next Parish Council meeting is Wednesday 8 May. Click here to read the draft minutes from the meeting on Wednesday 13 March. To sign up to receive news from the Parish Council, please click here. Click here for an update on the Dairyground Playground project. Details of all Parish Council updates can be found here. To view planning applications please click here. ​To view Parish Council News click here. ​To contact the Parish Council please click here. For all the up to date news on the Village Hall please click here. TO ENQUIRE ABOUT VILLAGE HALL BOOKINGS PLEASE CLICK HERE. All details of upcoming church services and other information can be found on the Wykeham Benefice website. Further information, annual reports and accounts can be found on the St Martin's Church section of this site. Illuminate and Celebrate: Ken Jeffs has asked if anyone who would like to support this initiative during 2019 to get in touch. Simply click here. More information and application forms can be found on our News page. Full details of the club and its activities can be found here. The events scheduled for this year are as follows. Please note we meet at 10:00 am at Shutford Village Hall. Newspapers and magazines can be delivered to your door by Smiths' Newsagents of Banbury. Delivery prices do vary, so please call 01295-268499 in order to discuss your individual requirements. ​Download the bin collection schedule for 2019 here. Details of the revised service mobile library service can be found here and the timetable for all local villages can be downloaded here. We would really like to hear comments and ideas for the future direction of our village site and its contents. All you need to do is contact us, by visiting the Contact page and completing the on-screen information.